Leave it to MSD to build an all-out performance distributor to replace the OEM GM LT1 Optispark! We machine an entire billet block of aluminum down into a precise housing that fits in place of the factory piece. 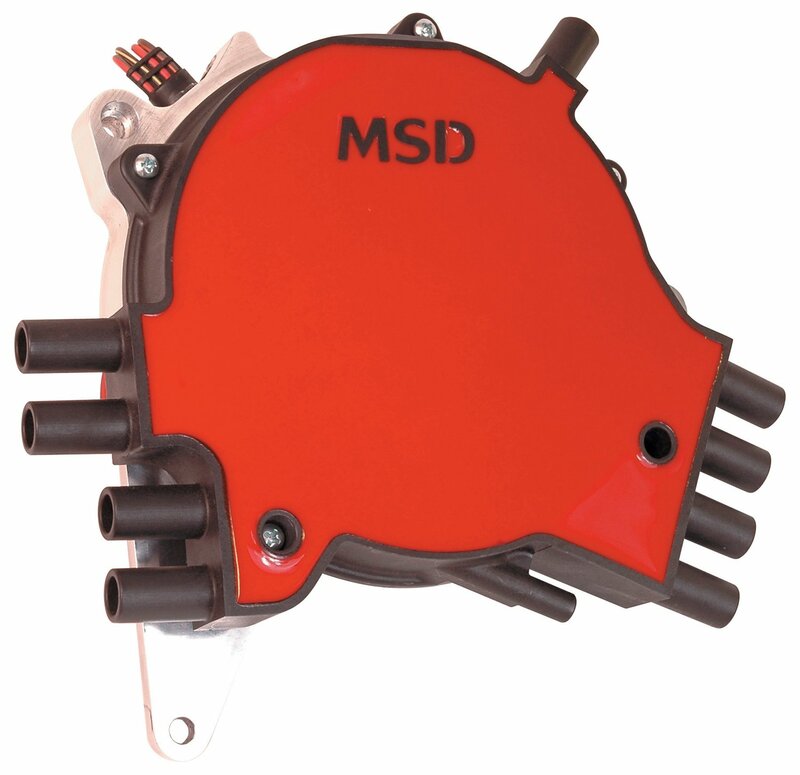 Then, we fill it with a reliable new pick-up assembly, a trick timing adjustment mechanism and top it off with an all new MSD distributor cap! The pick-up is an advanced optical encoder, a different style of optical pickup than the OEM. This type of pick-up has proven to be very reliable and stable through extreme rpm and conditions. The rotor is bolted to a drive assembly that is indexed to the shaft and is stabilized through the use of a large ball bearing assembly. Once installed, you have the ability to adjust the ignition timing – the only distributor that offers timing adjustability! An adjustment screw allows the timing to be tweaked up to +/-5°. The distributor is equipped with a fresh air vent and has an extra thick mounting surface for the cap to eliminate leaks. The distributor is supplied complete with our heavy duty LT1 Cap, Rotor and the components required for installation. Advanced optical encoder trigger design for accuracy and reliability. 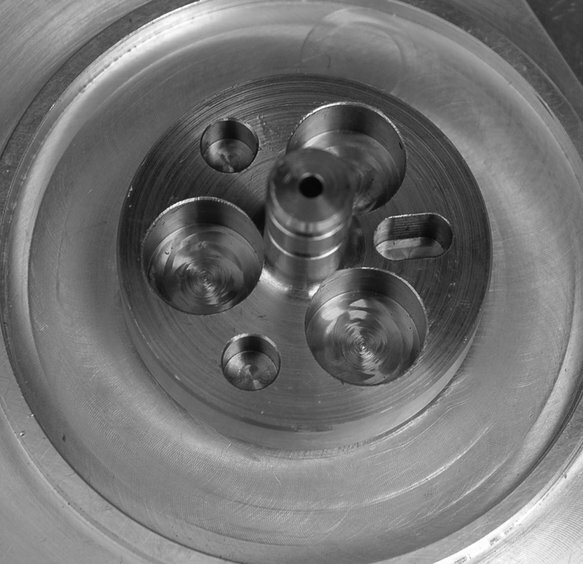 Rotor drive design is positively indexed and cannot slip. Large ball bearing stabilizes timing through 10,000 rpm. Fresh air vented and sealed to keep the elements out. Easily adjust the timing up to +/-5°. Finally a high quality Cap and Rotor for the front mount LT1 distributor!